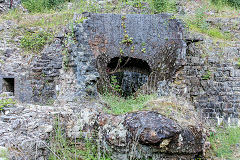 Including Gellifelen, Llanelly Hill, Clydach limeworks and ironworks. Before the dualling of the A465 'Heads of the Valleys' road. We'll have to see what's left when the work has finished. The Gelli-felen branch of the Clydach Railroad came up through Cwm Nant Gam, where the George Inn stood up to the 1920s. 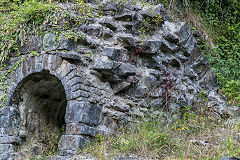 All that remains of it now are the cellars. Looks like its still waiting for a train to come along! The Western end of the Gelli-felen tunnels has a culvert alongside it. 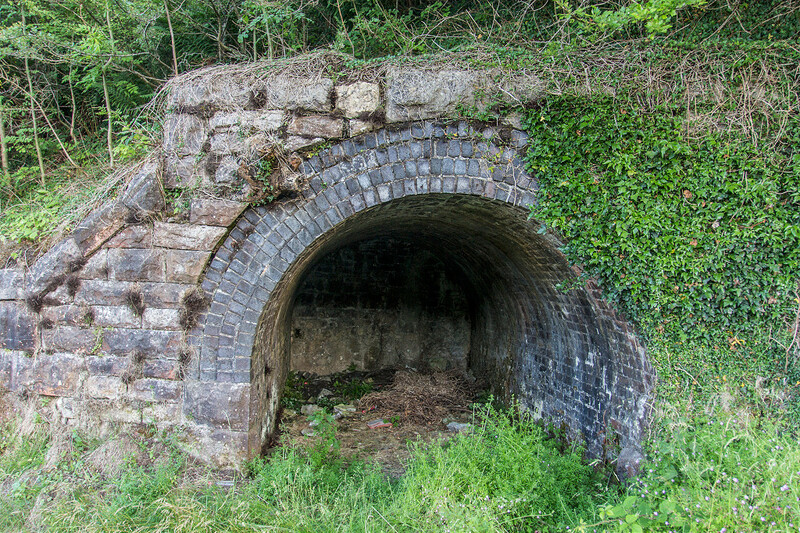 Likely built as a drainage level for Gellifelen Colliery, it probably passed under Baileys Tramroad through a simple culvert but the LNWR appear to have built a new exit allowing the outflow down an open gutter and under the new line. 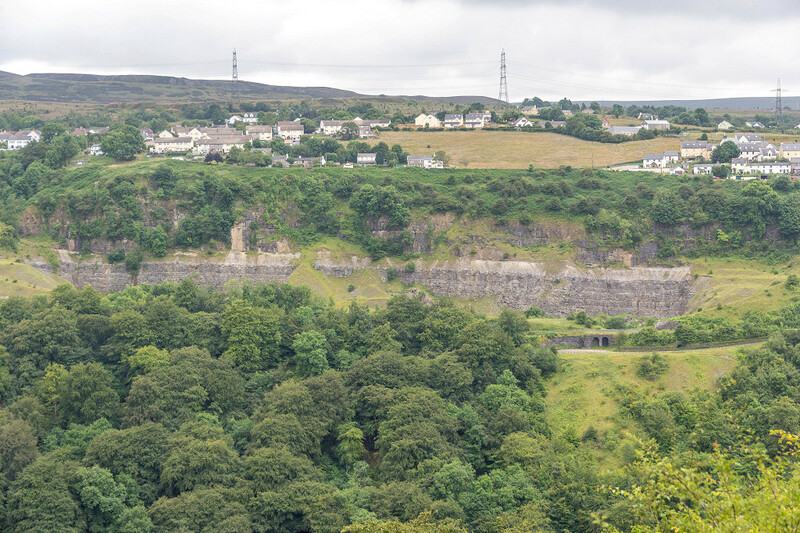 Llanelly Quarry supplied the limestone to Clydach Ironworks originally using the Llammarch Tramroad of 1795. 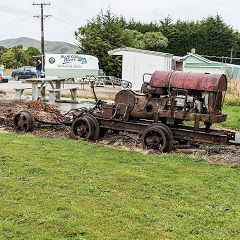 The 1811 incline actually ended in the quarry area so the MTAR had to build two arches, one for the incline and the other for the tramroad on up to Waunllapria. The MTAR put in sidings from the Eastern end and two sets of limekilns were built at either end, the eastern set have a headstone iscribed 'GP 1892'. 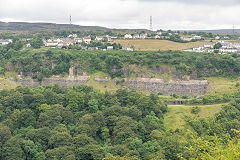 The quarry and sidings closed in the 1930s and reopened for roadstone from 1951 to 1963 using road transport. 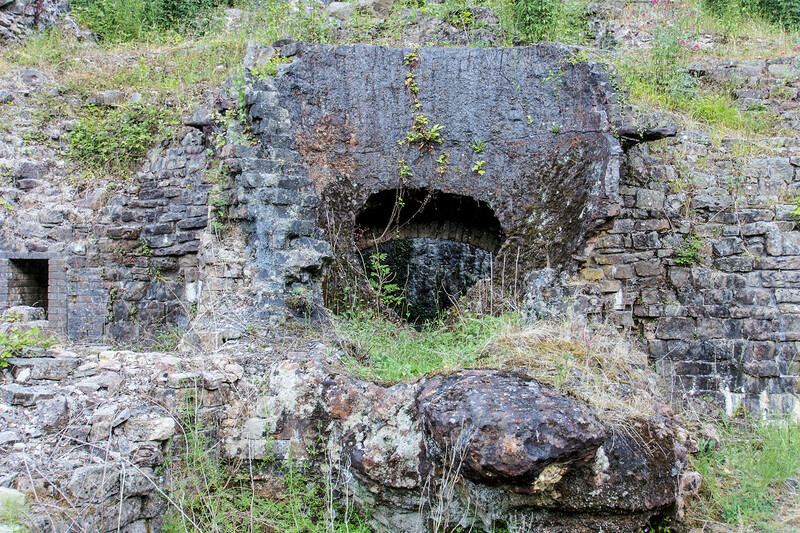 Clydach Ironworks was up and running in 1793 with a second furnace in 1797. A third furnace followed in 1826 and a fourth in 1843 and over 1350 people were employed in 1841 by the works and its' suppliers. 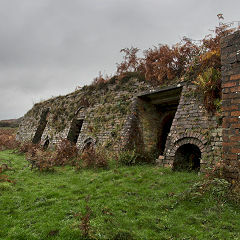 But by 1861 the furnaces were cold and have remained so ever since though they were listed as assets until 1873. 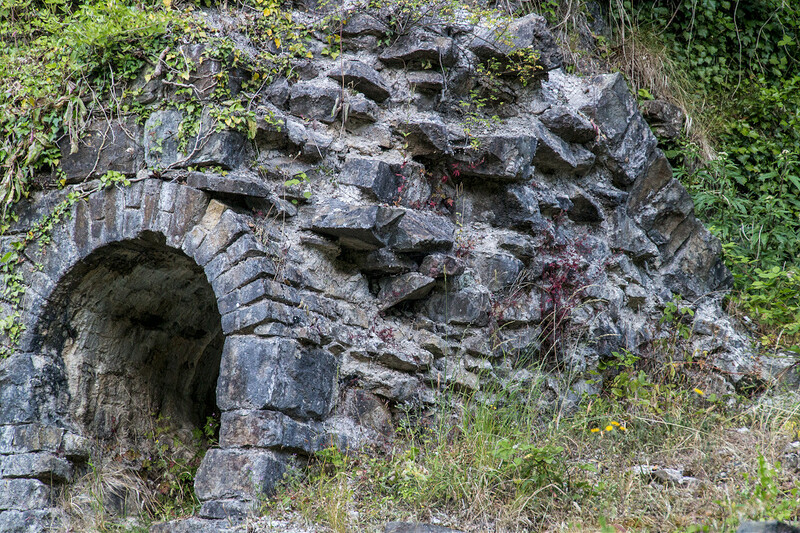 The remains of the ironworks were excavated and conserved in the 1980s. 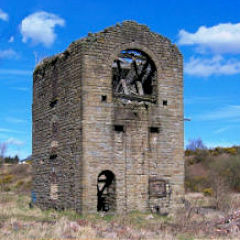 The rolling mills were above the furnaces, where Dan-y-coed is now, and they had been converted to a woollen mill by 1905.The 1795 and 1811 inclines of the Llammarch Tramroad met at the rolling mills and then came down the incline to the West of the ironworks to run across the the front of the furnaces and on down the valley to the canal. Smarts Bridge and one or two tramroads? Smarts Bridge, cast in iron and dated 1824, appears to be for road traffic but it may have carried a spur of the tramroad. The stone bridge just below it may have been either a link to the Clydach Railroad or possibly an 1811 route of the Llammarch Tramroad avoiding the slag bank. 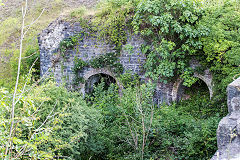 The 1799 tramroad ran from the furnaces, behind the slag heaps and over the lower bridge on to Gilwern. Or, of course, all of the above at one time or another. The lower bridge is likely to disappear with the A465 dual carriageway project. 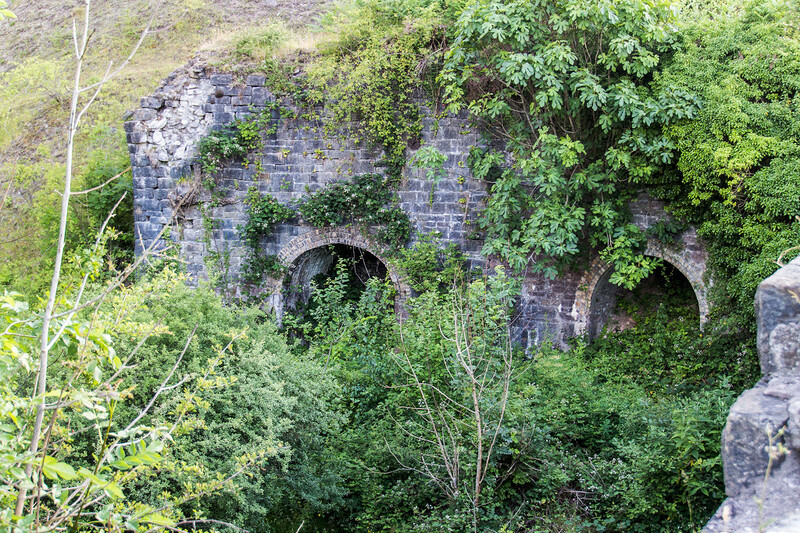 Llanelly Ironworks (SO 2329 1386) and Forge (SO 2354 1406) have both completely disappeared leaving just empty spaces, what a shame, but some of the buildings have survived. The large retaining wall to the North was the forge dam wall. Llanelly Forge House is now a private house, this was once part of the Forge complex and is believed to have been a tinplating works. The bridge over the river to the side carried a spur of the Llammarch Tramroad which led to stables on the South bank. The row of cottages, much rebuilt, were the workers accommodation. Llammarch Tramroad runs alongside the river from the A465 junction, past Llanelly Forge and ends at Gilwern canal dock. The route is very pleasent footpath with a number of stone tramroad sleepers to be seen. The dock is now used as a boat hire centre but the course of the canalside tramroads is clear. The buildings here are believed to be later constructions. The Blaenavon Stone Road or Common Road was proposed in 1797 and open from 1799. 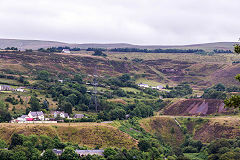 It ran from Waunllapria to Pwlldu and possibly Blaenavon, connecting Clydach Ironworks, via the Llanelly Hill inclines to the Pwlldu and Blaenavon Tramroads. Within a few years it was rebuilt as a 4'4" tramroad through to Blaenavon. 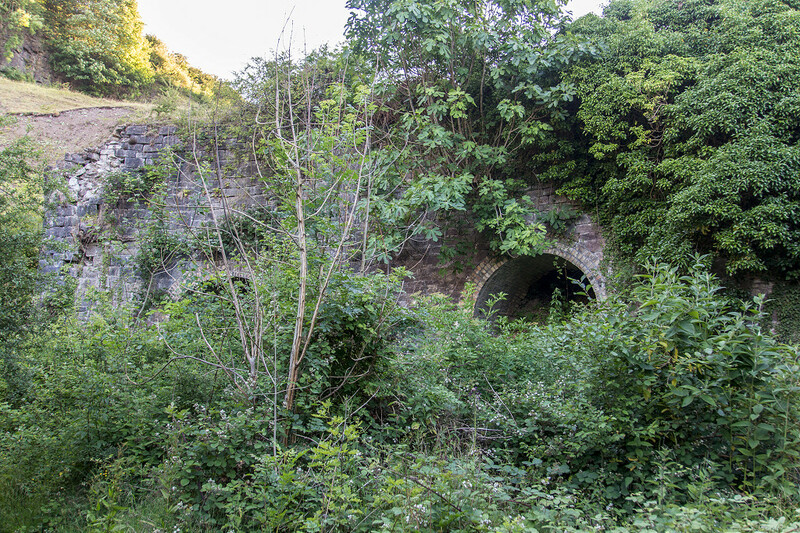 It probably closed c1812 when Clydach Ironworks could use the completed B&A canal. 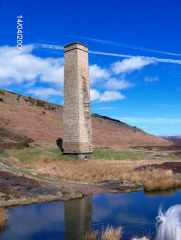 It was re-instated in 1829 to carry cinders from Garndyrys to Clydach until after 1836. 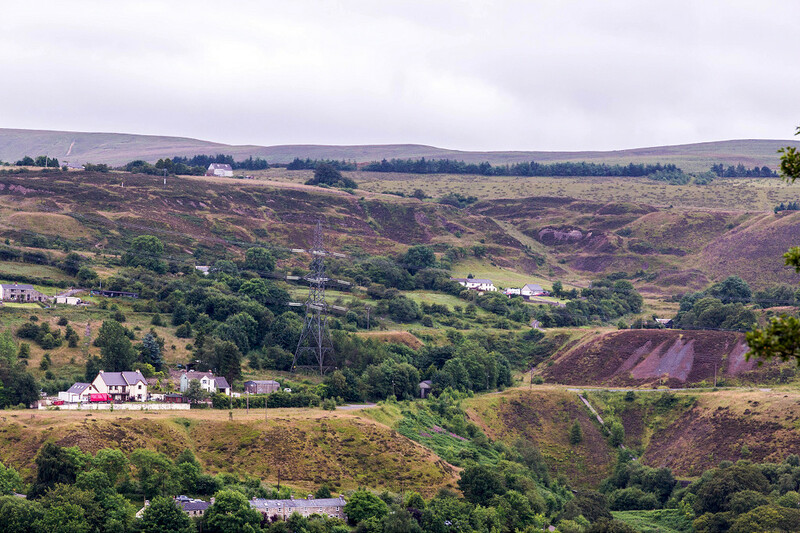 This colliery straddles the Clydach - Blaenavon Tramroad appearing on the tithe map of 1843 with quite extensive tips. Todays' drainage level may well have been the main haulage road, given it's relationship with the tips. A walk around Blaen Pig and Blaen Dyar turned up some very interesting relics of tramroad days. Someone had cleared some land beside the Blaenavon Stone Road and unearthed a nuber of tramroad plates and tiebars or sills. They are narrow-gauge so probably from the colliery at Blaen Dyar. The building here is marked 'BH' for beerhouse on the 1879 OS map but most of the surrounding 'old workngs' had ceased so it probably reverted to a smallholding. Behind it is a very narrow level possibly a drainage level for one of the larger levels. 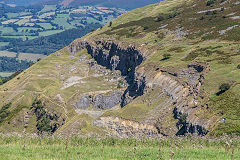 The very heavily eroded canyon coming down from Blaenavon's opencast workings. Thanks to :- Chris George, Richard Preece for their information.